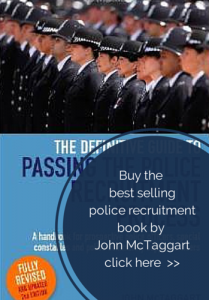 on the police recruitment assessment process and how to give a presentation. One to one assessment and interview preparation. Accessing our free video advice for those forces where candidates are required to give a presentation. 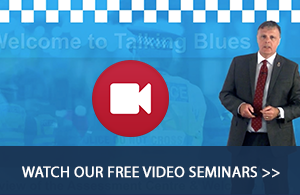 Talking Blues understands that your police career is important to you. Anyone can tell you what the process is about, or even help you get a certificate. That is not what we do. We help you become a Police Officer. There is a significant difference between the two things. Helping you into your police career is our profession, which is why we are VAT registered, have an actual office, and are listed at Companies House. 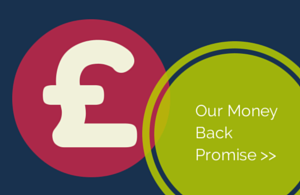 It is also why we offer a money back on the day promise. This is our 160 page manual you will receive on the day. “Forty candidates attended Talking Blues Assessment centre training. Previous candidates who undertook the national assessment prior to September 2015 should not there have been some fairly significant changes in the process. Our course takes full account of these changes. You will also find out more information about the recruitment system, the national assessment, and how we can help you to successfully pass it, by clicking on the drop down menus at the top of this page. 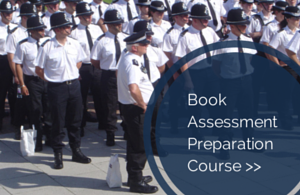 We look forward to helping you achieve your police career. Just wanted to say thanks to you and Graeme for a great day yesterday. I had just done a half day preparation session in force. Which anyone could attend, and was bit sceptical about paying to come on your course. I can honestly say though that whilst the half day just told me stuff I already knew, your techniques and methods of tackling the exercises were excellent. I now feel much better about attending the assessment centre, all I have to do is put what you say into action! Thanks again for a hugely informative day, and you and Graham are two funny guys!